Beacon Systems is a no-nonsense, straight to the point accounting software designed to be as simple and as streamlined as possible. Built using automation and artificial intelligence, it aims to reduce the need for accountants for SMEs hustling or bootstrapping. It was started by three founders who were intimately familiar with the problems in trying to issue invoices and quotations in their business routine. When we spoke to Beacon Systems, we can’t help but recall another startup that we wrote about last year—Financio. They are both artificial intelligence-powered accounting software, and both specially designed with the underserved SMEs in mind. Both software are spearheaded by owners of SMEs who are frustrated by the time-consuming and tedious accounting processes, and their solution to this problem includes all of the tech buzzwords like automation and artificial intelligence. A key factors for their solutions is that they can help take the brunt of the tedious accounting tasks off a startup’s hands. But while the two systems have a lot of similar functions, one core principle helps them stand apart: Financio was developed to help with accounting tasks, and it’s quite robust; meanwhile, Beacon Systems is gearing up to turning into a one-stop business suite and accounting platform for SMEs. 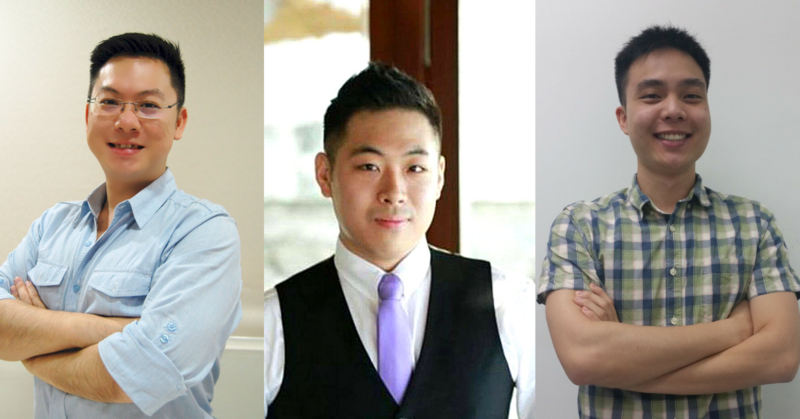 When founders Billy, Terrence and Kevin started out, they felt like “there [wasn’t any] good and easy accounting software to use”. All three of them had been around the block as entrepreneurs, each familiar with the struggles of trying to keep your accounts in order while bootstrapping and getting by without an accountant. Any accounting solutions the trio attempted “caused more stress to the entrepreneur rather than help them manage their finances and keeping their records in order”. The founders came into Beacon Systems annoyed that they spent more time doing paperwork than actually growing the business, and funneled these frustrations into a business suite. Beacon Systems is a no-nonsense, straight to the point software designed to be as simple and as streamlined as possible. One of the system’s key functions is the ability to issue customised quotations and invoices while keeping track of all of your purchases and expenses, built on top of the Google Cloud Platform. The platform is free to use up to a certain extent, with an RM50/month upgrade for unlimited access. Any payments due or owed can be made online as well. Beacon generates invoices and quotations, instead of making entrepreneurs rely on Microsoft Word, or any of the accounting software the founders complained about previously. “We made sure that the system focuses on the most important part of the business,” said Terrence. And this is all presented to you in one page of straightforward and clear-cut information that can be kept open in one tab as you run your everyday SME operations. A blank slate on Beacon System. On top of that, all accounting entries and journals can be handled automatically by the system in the background, and it can integrate with legacy systems. Beacon Systems can also help you calculate taxes owed. The aim is to reduce the need for accountants as much as possible, but for when those moments do arise, Beacon Systems has an integrated digital payment solution and automatic bank reconciliations to help accountants that do business reviews or audits. This frees up an accountant’s time, but is perhaps also helpful for businesses who pay freelance accountants by the hour. Since their RM500,000 push into launching the product, it has evolved into what the founders call a “full suite business solution software”. It is also able to handle sales, purchases, inventory, payroll, production flow management, and other functions deemed key to business success. But it has been a thorny path to navigate. Beacon Systems was built in a short amount of time. Because of that, “no one believed that we could develop system in such as short span of time and with all the features,” said Terrence. They were determined to push on, working on limited resources and time while navigating government bureaucracy and legislation to comply with all the requirements. Even though they aren’t the only player offering similar services, Terrence found that the team still had to spend time convincing and converting clients into their automated system. The clients had to be educated and show that there is a less archaic way to manage finances and record-keeping. “We are still working to get to breakeven point,” said Terrence. Nevertheless, he is confident about the product. While Beacon Systems does address a need for SMEs, it is clear that they are still in a nascent stage. Users can’t access Beacon Systems through a mobile app yet, which in recent years has been one of the cornerstones of user accessibility. According to Capterra, Beacon Systems is also still unable to do project billings or recurring billings as well. This is why Beacon Systems has joined the joint iLabs and Nexea Ventures Accelerator, in hopes of producing a more mature product ready for national, and global commercialisation. With a founding team that is intimately familiar with the pain points of businesses, and an accelerator team that is intimately familiar with these concerns as well, Beacon Systems could eventually turn into a fully-fledged business suite that would make the term automation proud. Beacon Systems is currently available on freemium, where users can try out the system for free upon signup here.